The history of Northesk Church dates back to the 1830s when funds were raised to build a church in Fisherrow to accommodate the growing number of churchgoers in the town. 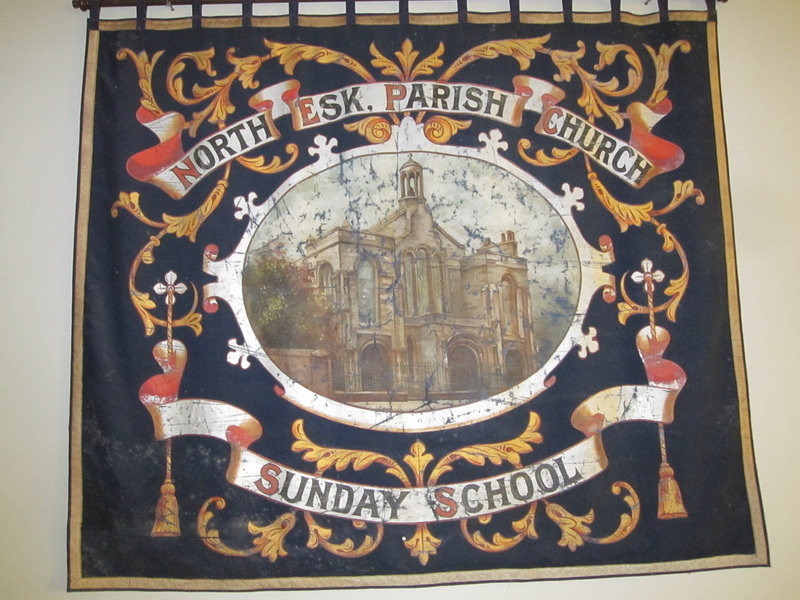 The foundation stone was laid in July 1837, and on 9the September 1838 Northesk Church opened. 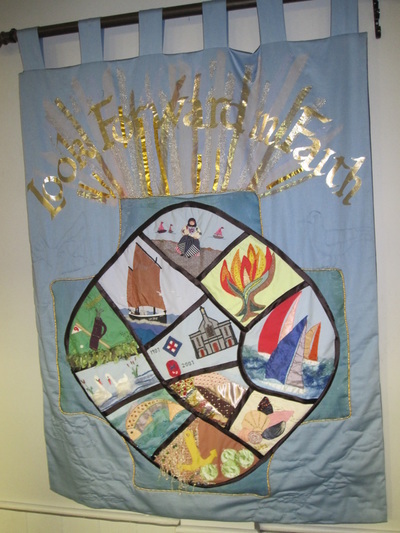 Originally it was a 'chapel of ease' but following the New Parishes Act, it became a 'quoad sacra' Parish Church. The original building, with its horseshoe gallery, Queen Post roof and vaulted ceiling, was designed by the architect William Burn and was smaller than the present building, as in 1913 alterations were made to allow for a new chancel in the South wall; the hall and smaller ancillary rooms were added at the rear of the building. The windows of the church were originally clear except for the two fine Cathedral windows which are now in the chancel side walls. 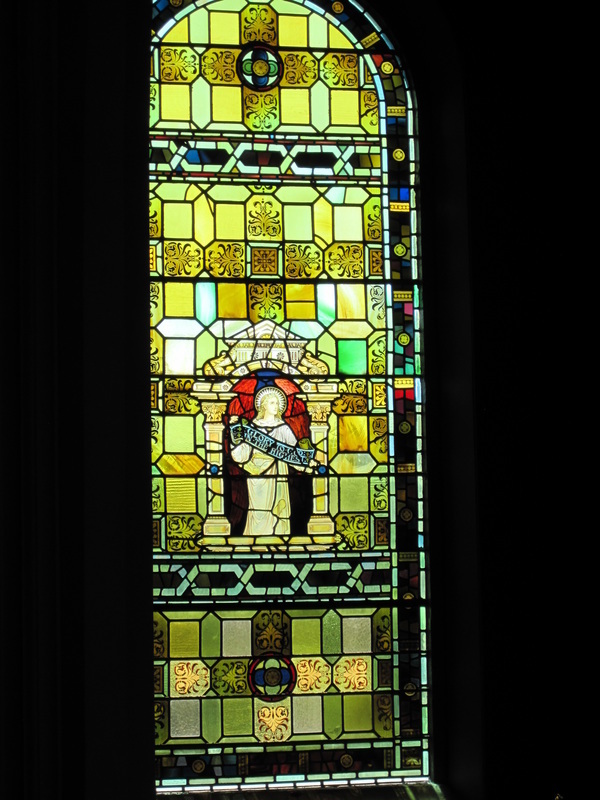 The clear windows were later replaced by coloured glass, following a donation from the Women's Work Party. 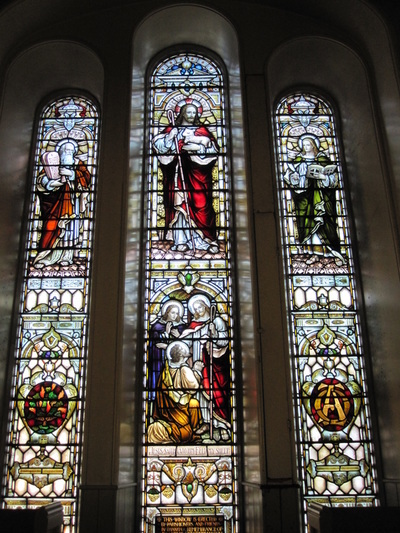 Two pictorial windows in the South side walls were the gifts of donors - the Samaritan window in memory of Dr A Sanderson, and the David and Jonathan window in memory of the Miller brothers. 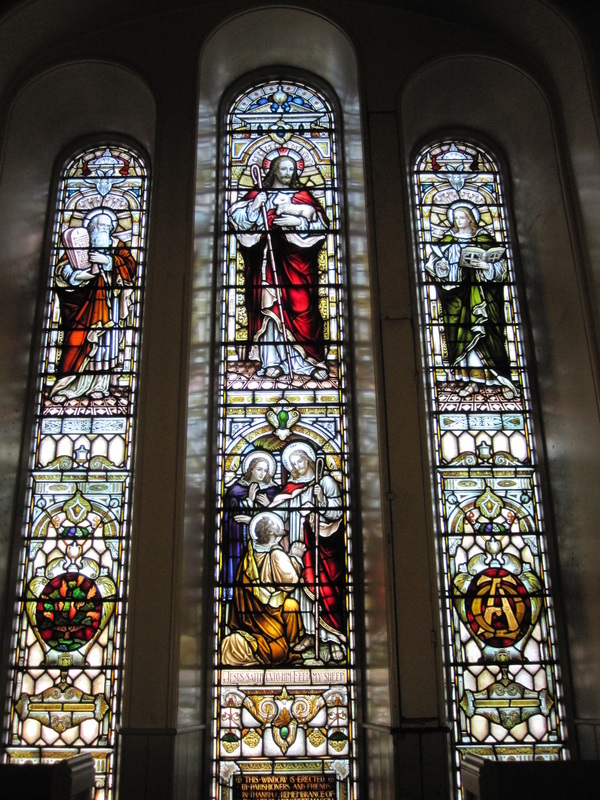 A further set of three fine stained glass windows are in the North wall, gifted by the congregation in memory of Henry Moncrieff McGill (d 1906) in memory of his 40 years' ministry. 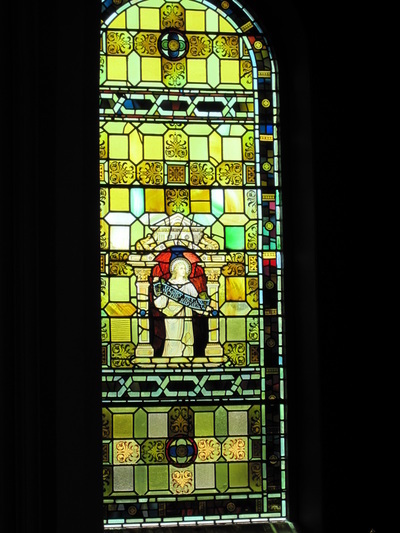 Two of the stained glass windows are shown below. Initially, praise was led by a presentor until 1878 when a harmonium was introduced. This was replaced by a pipe organ which was donated in 1904. It was built by the makers Abbot and Smith of Leeds, with the pitch pine screen being suppled and erected by a local joiner. The organ was originally generated by a water-powered engine which was replaced by an electric motor in 1913. The organ was renovated in 2004. The Church was fortunate in receiving the generous donations of the brass eagle lectern from the Gonzales family in 1921, in memory of their nephews, and also the brass font from Elizabeth Carse in memory of her parents, Thomas and Elizabeth Crichton. The communion table dates from 1883, and the three chairs were donated in memory of Rev Duncan, minister from 1917-1940. The collection plates were a gift of Mrs Wilhelmina Miller. 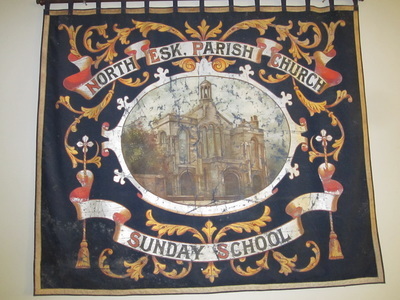 The Sunday School banner was presented in 1911 and the Guild banner was crafted by members of the Guild to celebrate Northesk Guild's centenary in 2007. Both are pictured below. In the entrance to the Church is the Memorial plaque to the fallen of Northesk Church in the 1st World War.